Former Colorado Gov. 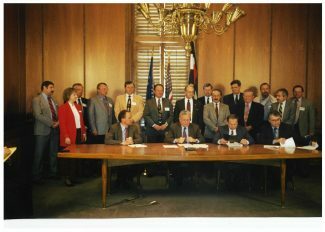 Roy Romer signing the Arkansas River Compact Protection Act of 1996, which allowed the Colorado Water Conservation Board to loan money to well augmentation companies such as LAWMA. 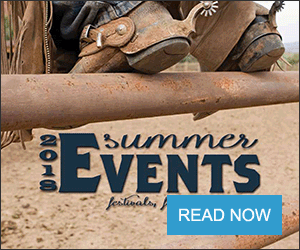 LAMAR, Colo. — What started 44 years ago as a small group of farmers, the Lower Arkansas Water Management Association has become a critical part of the Arkansas River Valley's agricultural community. When LAWMA held its annual member meeting in Lamar and celebrated its 44th birthday, it was important to reflect on how far the organization and the surrounding community have come. LAWMA, a well augmentation company with members in the Arkansas River main stem in Bent and Prowers counties, is a nonprofit, non-governmental organization, managed by a seven-member volunteer, unpaid board. LAWMA includes 210 members, many of whom rely upon LAWMA water shares to augment their irrigation needs. To do that, LAWMA owns about 18,000-acre-feet of water. Over the years, LAWMA has evolved to become a visionary and innovative force in the local community. It serves as a water broker/manager for companies unfamiliar with western water law. It helps farmers develop Rule 14 and Rule 10 Compact Compliance Plans, which describe how changes to surface water irrigation adhere to the Arkansas River Compact, and, if needed, substitute supply plans, which outline how the user will augment water. And it works with outside entities to make sure members have enough water. "LAWMA is blessed to have a board who want to get things done right," said Don Higbee, LAWMA general manager. "They can see what is going on. We've had the experience of being on the losing end, and we just have extremely good intelligence as far as where things are going." Most local residents are familiar with rules saying that in order to pump water, well owners must send a certain amount of water back to the Arkansas River. In the 1950s and 1960s, farmers freely pumped groundwater to irrigate their fields. No rules governed pumping. By the 1970s, sensing impending regulation, LAWMA was formed to give pumpers a unified voice. 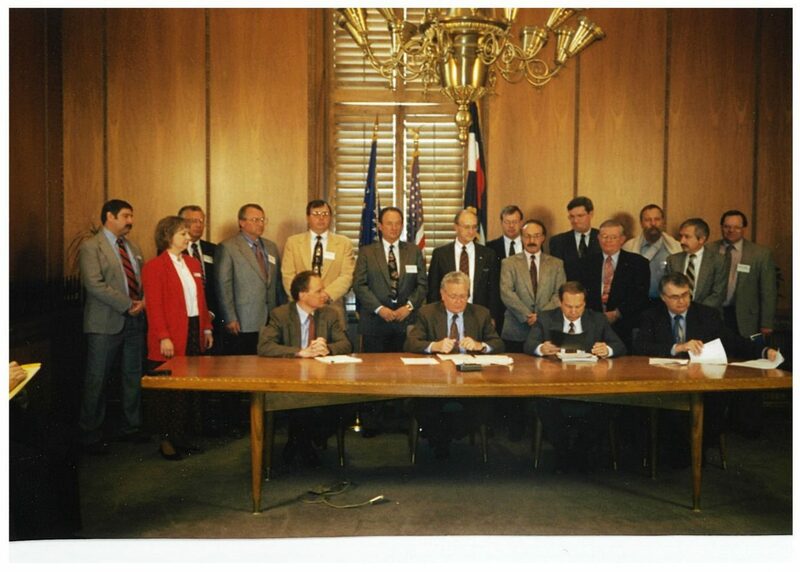 In 1995, everything changed when Kansas proved in court that well pumping took more water from the river than Kansas and Colorado had agreed upon through the Arkansas River Compact. Some parties wanted to shut down all wells. Scrambling, LAWMA devised a plan to buy or lease surface water and send it back to the Arkansas River. At first they leased water from Colorado Springs and Pueblo in Colorado but in time, bought their own water. "We rapidly figured out how to do this," Higbee said. "We were making all of this up as we went along. We took responsibility to make sure that usable state-line flows were not affected by our pumping." LAWMA was the first to make use of a new law, promoted by then-Gov. Roy Romer, to allow well augmentation associations to get low-interest loans from the Colorado Water Conservation Board. Those loans allowed LAWMA to build its water portfolio. Since solving the problem of well augmentation, LAWMA has taken on various new roles. 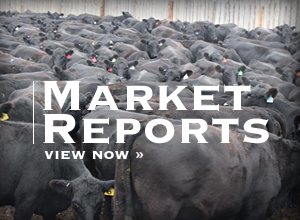 LAWMA has entered into cooperative agreements to manage water rights for several entities, including Colorado Parks and Wildlife, City of Lamar and Colorado Beef. In return, LAWMA retains a small percentage of the water supplies for use by its members. The organization also has stepped up to help new and existing users with substitute supply plans and file cases in water court. "This service is extremely important," Higbee said. "We desperately need economic development in southern Colorado, so we need to be able to cut through the red tape and get these people the water that they need, for whatever project they are trying to implement." Such changes could be small or large, like selling water to the highway department or helping farmers install center-pivot irrigation systems. Higbee recalled a time when Iowa and Minnesota hog farmers wanted to set up swine operations in Lamar. But they didn't understand western water law. "We rapidly became the go-to water guys," Higbee said. Finally, in dry years when a shortage looms, LAWMA works with outside entities such as the Pueblo Board of Water Works and Colorado Springs Utilities to lease excess water supplies. "We have developed the relationships necessary to share water, which allows us to do more," Higbee said. "If we are not sharing water we are competing for water with cities. It's better for agriculture to share." Today, LAWMA members include many farming operations, businesses and several municipal users, including the towns of Lamar, Kit Carson, Eads, Hugo, Holly, Granada and Wiley. Many members are not shareholders. They simply value being a part of an organization with such deep knowledge and history. They also enjoy participating in a forum where a diverse set of local water interests can come together and find common ground.